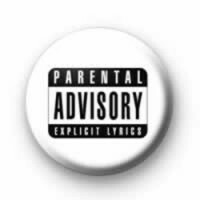 Parental Advisory explicit lyrics 25mm button badge. Does the music you listen to have this warning on! Is it a little offensive? Standard 25mm button badge hand made in our workshop.